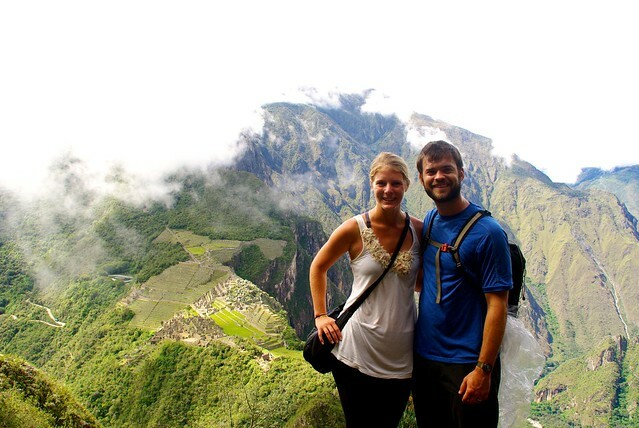 Photo Essay: We Made it to Machu Picchu! Everything was covered in clouds. We couldn’t see anything. 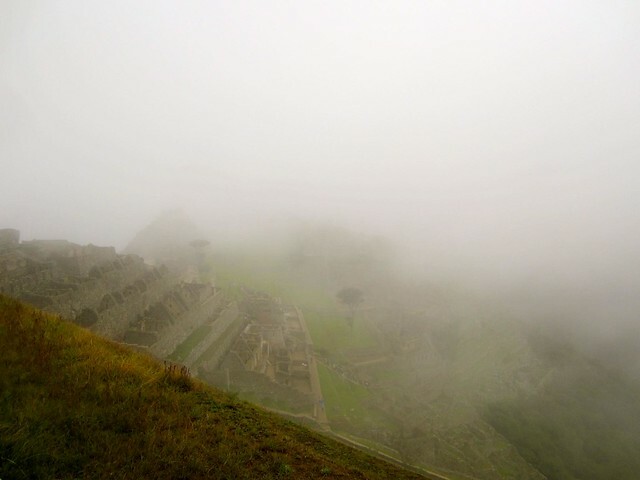 We had finally made it to Machu Picchu and we couldn’t help but laugh at the lack of visibility. 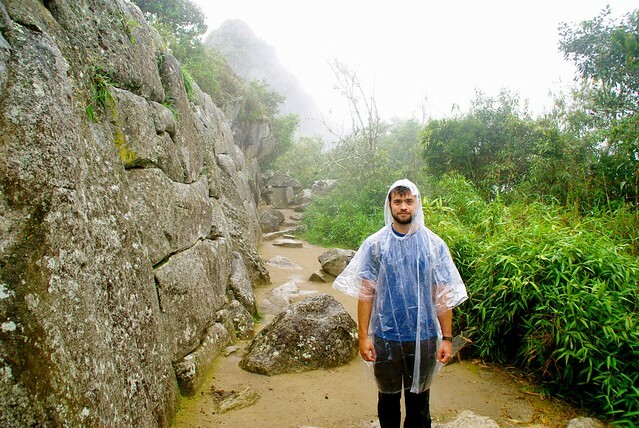 We all pulled out our ponchos as the slight but constant mist came down around us. We could only hope as the day went on that the clouds would clear and the sun would come out for awhile. I do admit, there was a mystical atmosphere as we walked through the ruins. 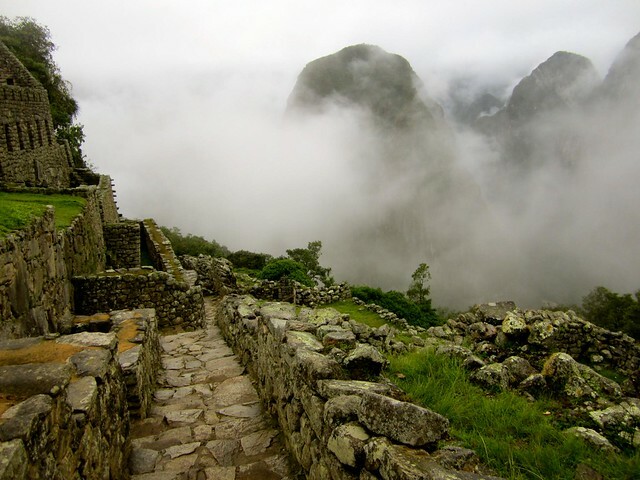 The clouds enveloped the massive rock structures and slowly moved around us as we walked through the different rooms which were built back in the 1400s. Slowly the clouds began to lift and we saw mountains start popping up around us. 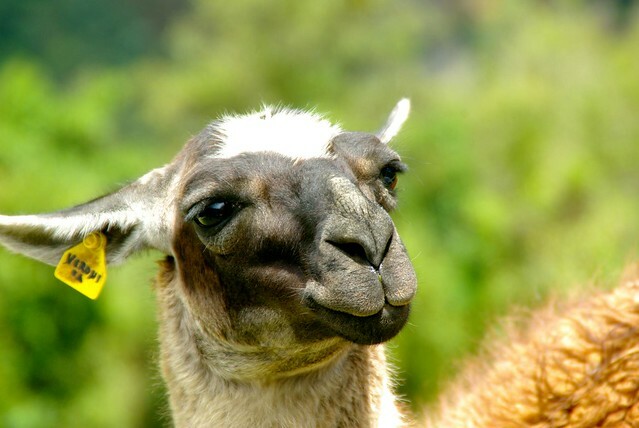 We were finally able to see more of this ancient Inca city and UNESCO world heritage site! The time and dedication that went into building this city was fascinating to see firsthand. Each rock was cut precisely to fit with the one next to it without using any mortar. 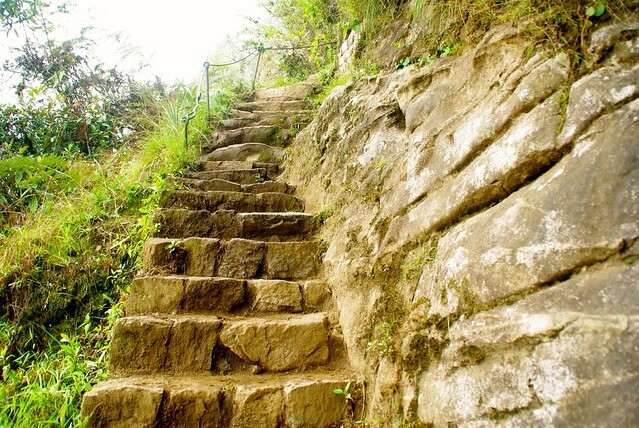 As we began to climb the stairs to Wayna Picchu our legs fondly remembered the past 4 days of hiking. We had covered 60+ km in 4 days crossing rivers, trekking through mud and across glaciers. 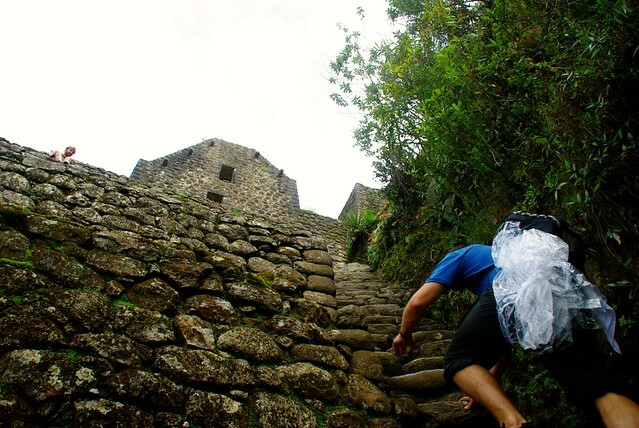 Wayna Picchu was surprisingly a lot tougher than we thought. It was straight up the mountain about an hour. But the views were worth it! 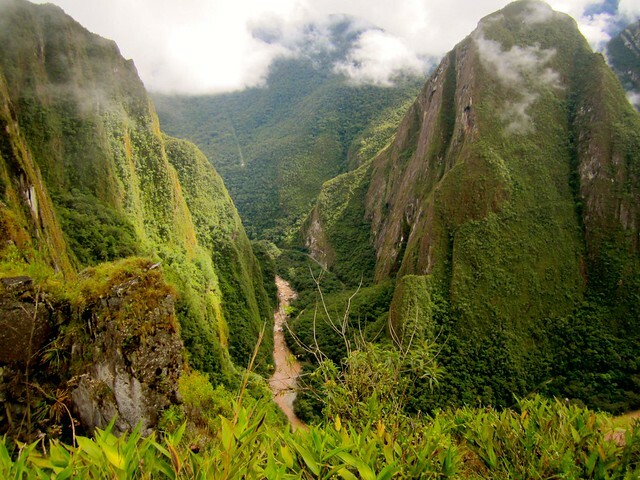 The mountains around you rolled on forever and Machu Picchu looked so small amidst the scenery. We kept climbing up trying to reach the highest point and with each step they only seemed to get steeper. Our feet barely fit on the steps at this point and we were holding onto a rope on the side of the stairs to help us up and from not falling. 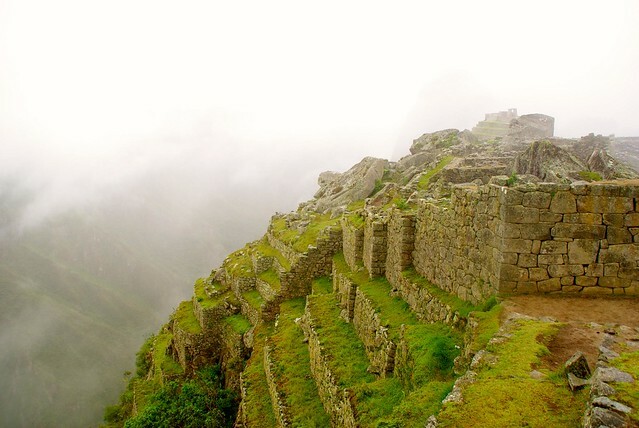 From the top of Wayna Picchu you can see not only Machu Picchu, but you can see to the left the mountain we climbed at 5 am to reach the top. The bus route zigs and zags up the mountain while the stairs if you choose to climb go straight up. It is not for the faint of heart! 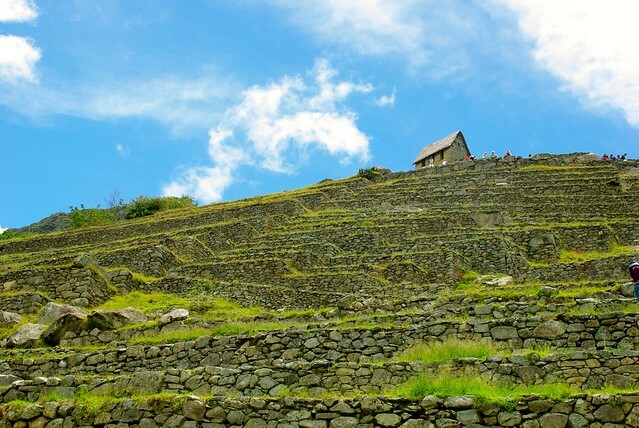 After climbing back down Wayna Picchu the clouds had cleared and the sun was shining! Of course I couldn’t leave such an amazing sight without one of my famous (awful) cartwheels to add to my collection of cartwheels around the world! 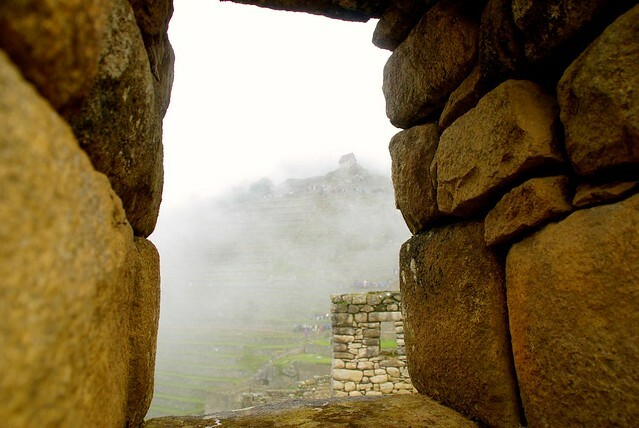 Usually we aren’t big fans of ruins, and prefer natural scenery. 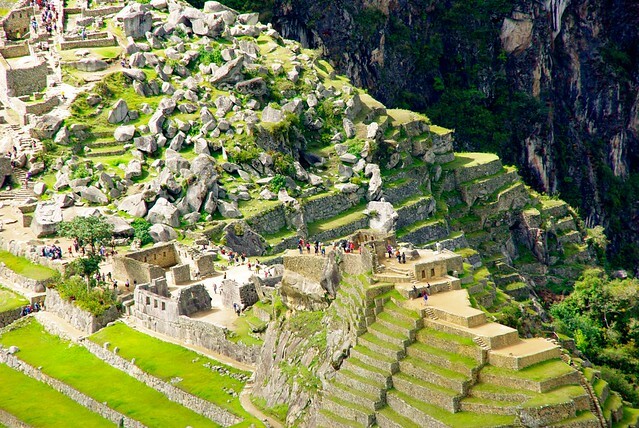 At Machu Picchu, you get both, and even if you aren’t a fan of ruins you can’t help but be impressed at the city built on top of the mountain. Especially if you take one of the treks, it’s an awe-inspiring accomplishment to finish out your trip. 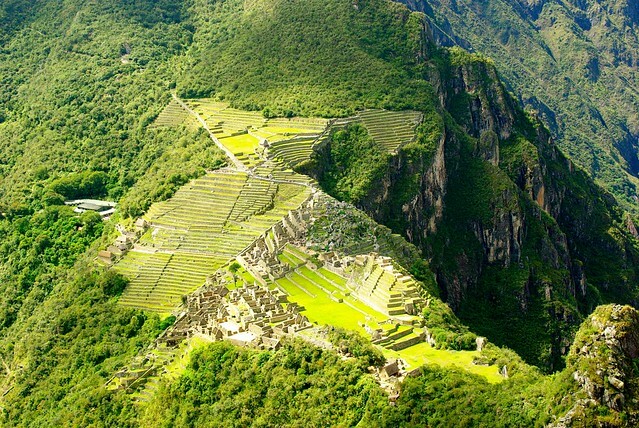 Is Machu Picchu on your bucket list? That zig zag bus trail we walked up via the stairs! It was a LONG and tiring hike up but rewarding at the end!! Stunning and amazing! 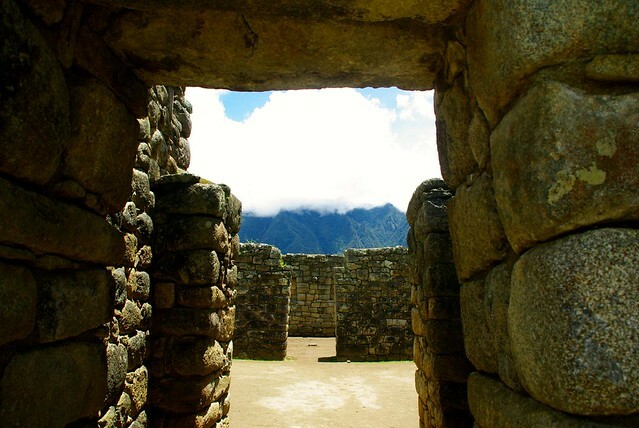 Your pictures capture the beauty and wonder of the place and civilization of long ago. You can’t help but imagine what it must have been like for them. We only got to learn a bit of the history, but it really intrigued us to go further into researching the area! Very nice pics indeed, in a very special place. 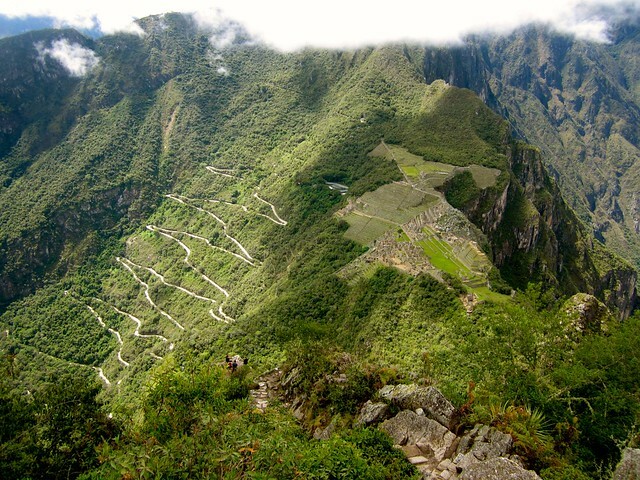 Wayna Picchu was definitely a fun extra, but the views around Machu Picchu without that last hike were equally incredible! 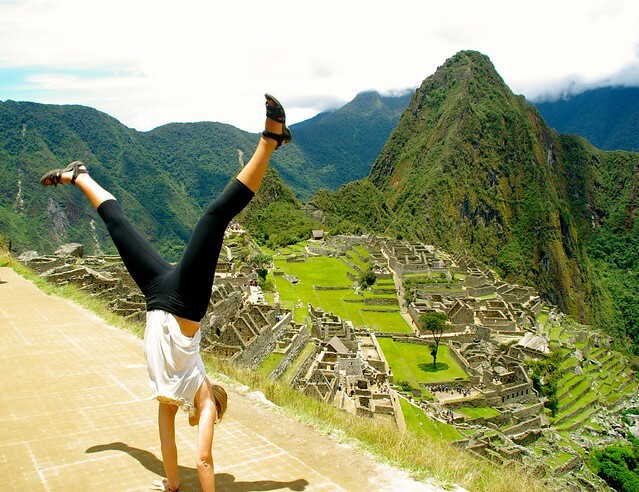 I had the same experience when I got to Machu Picchu. It was completely covered in fog, but once the fog lifted it was AMAZING. 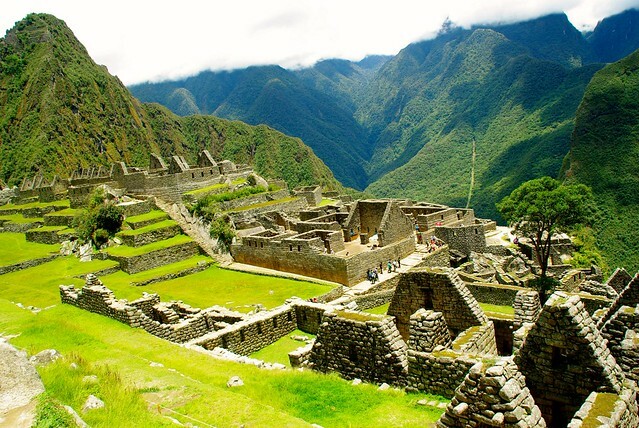 Machu Picchu is definitely on my bucket list. Love these pictures! 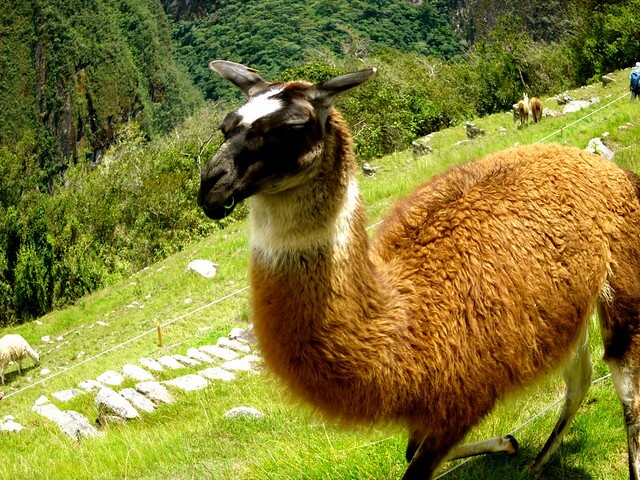 You must do the Salkantay Hike when you get to Peru – it was our favorite part of the trip.